Distinctive Marks: She has eczema, with a skin discoloration on her face and left side of her buttocks. 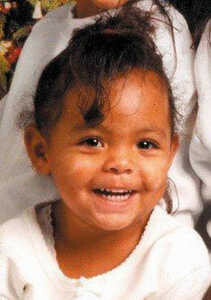 She was last seen on January 23, 1999 at approximately 10:30 p.m. at the New Frontier Lanes bowling alley in Tacoma, Washington. Teekah was wearing a Tweety Bird T-shirt, white sweat pants and Air Jordan sneakers. She has eczema, with a skin discoloration on her face and left side of her buttocks. She also has asthma which may require medical attention. If you have any information on Teekah Lewis please contact the official numbers above immediately. Alternatively, you can e-mail us here at Help Find My Child - you can do this in strictest confidence - we will make sure your information is passed on to the relevant places. 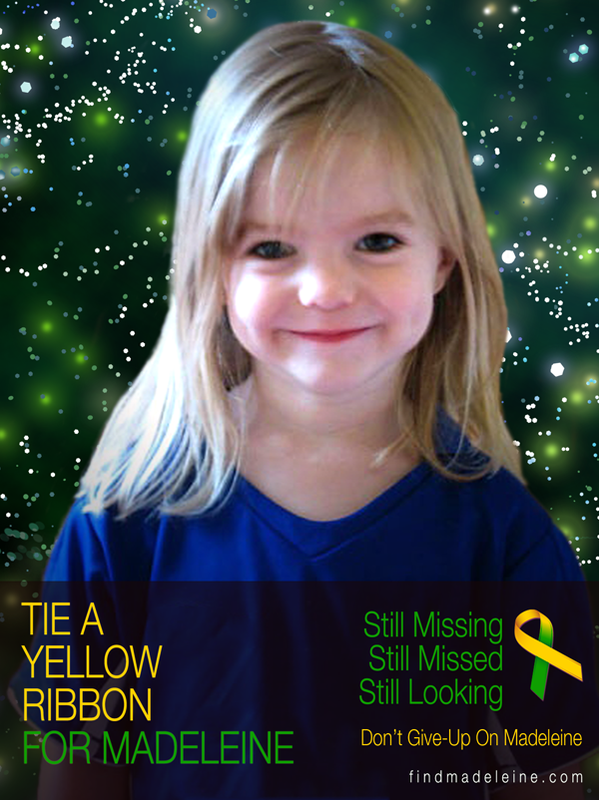 I saw the link for this child come up for speculation as to what had happened to her and I have had a look at tarot. All the normal requests to read the notices about Tarot are important as they ask you what to bear in mind with the readings. Tarot is past present and future and cannot be claimed to be 100 per cent. My question for tarot centered on the day of disappearance and what may have occurred. Here we have the King of Pentacles on his head. This appears to be a Male (or female but normally thought of as male) who instead of being a worker and being self sufficient is someone who would rather sit back be lazy and let everyone else do the work. This person on this card does not like to work and they will think of new ideas for which to procure money. The Ace follows the king as we go back to the beginning of the Minor arcana of this suit and the ace clearly shows us the thoughts for 'grasping' in a cloud example below. This king sits next to a Queen who is often thought of as 'where the money goes' and this Queen comes before the King. The king is regarded as the 'father or father figure' and as he comes after the queen it could suggest that this child is connected to a male parent figure. Pentacles shows health but reversed would show unhealthy aspects about the person I am seeing. It could very well be a 'darker skinned' person as the Pentacles can often reflect an ethnic quality or somehow they are linked in that way. I imagine this person to have a vehicle as pentacles are also disks and wheels but because the pentacle card is reversed it seems the car would be stationary. I dont think the person I see really could afford to run a car as they dont seem to like to work much anyway but would rather have a way of benefitting financially from others from illgotten means. This man/person wants to benefit financially and I see 'usury' in this card. The child somehow would benefit him in order to gain financially. Some have said this card is 'pornagraphic' or has those kinds of qualities, however, I cannot confirm this. The character is very 'bribable' very corrupt and very dull witted about this 'grasping' attitude. There seems to have been a lack of 'voice' here in this card therefore Im not sure whether or not certain people have been eliminated when they should not have been regarding this child. The person I see seems to have 'lost their home' so I'm not feeling they are from the immediate district however this could be wrong and its just the way I see it. Perhaps they just feel 'at a distance' from someone. Virgo Capricorn and Taurus, suggest, no work, ill health or unhealthy attitude and non vocal. There is something WHITE about this case - and I see this person does not seem to be very 'scared' about carrying through the actioins regarding this child. I see jealousy too about finance though not sure how or why that would be right now. Some advice may have been ignored about a vehicle which was actually important. I do see family in this card - father or husband perhaps an 'ex' persona who has perhaps decided to do this? One thing I will mention is that when Pentacles are reversed they are 'non tactile' - I will leave that thought as one must ask whether the child was snatched or not? I seem to sense very impractical thinking about this entire case - for some reason its built on what 'should happen' but the thinking behind it has failed miserably. There is not a lot of dividend so whoever was responsible in the long term might not really have achieved what it was they were seeking? There does seem to be a male here who has done something hoping to gain some kind of 'head position' maybe in a relationship but really I think this has failed miserably. I shouldnt be surprised to see this card come up for where Teekah might be, we did just speak about this card . Anyway this card tells us North Winter, but reversed is South and Summer. I just see so much 'false start' in this card about where this child should be. If you look at that picture it is a garden with a path leading out to the world, but this is reversed and doesn't seem to have shown her going 'anywhere'? there just seems to be no spark to this card somehow. Theres no physicality in this card either. The timing is truly 'off' on this card and I find it puzzling almost like a 'non event'. There's a 'not going anywhere' type of movement here - no movement. So, did she go anywhere? I can only seem to give the word GARDEN - ? I'm not sure if its possible to find this girl - there's something really odd about the entire situation. Part of me wonders if she went in a car and stayed there? particularly with the no travel sign - I might have that wrong of course. Is there perhaps a business premises that is shut down or a property that fell short of mortgage in the picture? I am slightly perturbed that the world just doesnt seem to manifest this child at the time of reading. I hope its possible to find her but I think it will take Einstein to sort this case out. This is a brief synopsis of this case and it is always worth keeping abreast of news reports and other speculation and information. Edit - Garden City - Wash??? Though Pentacles are North - (may be a starting place) we also have South and South by East. Saturday an important day. at the 8th hour. Stables where horses and cattle or where tack/hay are kept. Farm land or pasture land away from housing estates. Low houses (bungalows, cottages), or in houses, low rooms or cellars, places low down, near the floor. Farms, farming equipment, wood stores and places where farm animals roam. Fallow or bare land, barren fields, land that is bushy and thorny, or where there are dunghills, compost heaps or soil prepared with manure. Locations that are low down, either near or on the ground or low dark places. Could signify a place where sails for ships and such materials are stored. Boundaries, thresholds and all structures that divide and contain rooms and territory; from walls, garden fences, gateposts and international borders. Mausoleums, church yards and ruins. If inside the house it is a low dark corner, on or near the floor, doors, closed in or confined spaces, earthy objects and those associated with waste disposal. Deserts, woods, obscure valleys, caves, dens, holes, mountains, or where men have been buried, church-yards, ruinous buildings, coal-mines, sinks, dirty or stinking muddy places, wells and houses or offices. I believe this lady Rose Marie of Colorado Springs had a little girl bae Chalisa Stratton she pass away from a car accident on 2012 I believe she was Teekah Lewis with a new identity. Her body was cremated after that car accident !You can look up Rose Franklin 51 years old with several missing kids. I strongly believe Teekak I one . This is a truly sad case. A toddler vanish without a clue. Maybe one day this case will be solved. I always keep my little ones close to me at all times. It is a sad thing when you can' t take your children bowling without worrying if creeps are around. Can you do an update on this case? Tarot Reader: Your reading is Correct. I am searching This case and just received the Ad Have you seen me ? on 10 /10/15. Seen GMEGM 500 S.E. 2FL. Looked up. GMEGM is Green Mountain Facility. The 1990 Grand AM GT picture next to a long Bridge, water, where ships sail. Cars drivers door towards camera headlights on the left of picture the bridge is behind car. Car was posted on Carfax: 1990 PONTIAC GRAND AM GT $3999. The structure I think Teeka was in appears to be gone now. I lived next door between 2006-2007. The man too old to have small children. The woman old enough to be daughter or niece? Lots of cars in yard, house pieced together under large trees. I'm giving up on you. I wanted you to be the one to find her since you are so close to it. The neighborhood she was in you didn't ask too many questions. I had met my qouta, my gut told me to shut up. Please do not speak to me this way. I have written a Tarot for this young child and if I have left it as it is then that is what Tarot wanted to give to me. There is a Tarot and a Map posted and hundreds of pending cases that have had no Tarot written at all because I cannot sit 24 hours per day every single day doing voluntary work. I do not update for the general public for free. My time is only free for a reading for the parents . If others wish to take up my time there is a need to donate for my time. If you wish an update you will need to understand this and contact and request this via my email. Thank you meantime for caring for this child and understand that much work is done here because we also care. Somebody knows a lot more than has been said over the past nearly 20 years. There's no proof whatsoever that Teekah was ever at the bowling alley and my intuition tells me that she wasn't. You would be surprised what you can cover up and get away with on a Native American Reservation, which I sense has significance here. Somebody known to Teekah has gotten away with causing her demise for nearly 2 decades.